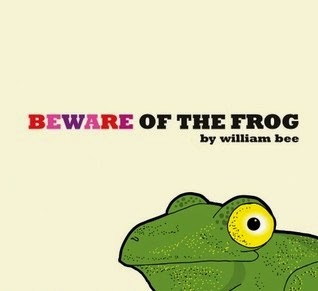 Beware of the Frog by William Bee (Candlewick Press, 2008). Old Mrs. Collywobbles lives on the edge of a dark, dark forest, so of course she needs something to protect her from the creatures lurking there. Is a frog up to the task? You'll be surprised what her guard frog can do... and of course there's a twist at the end! Blizzard! by John Rocco (Disney-Hyperion, 2014). 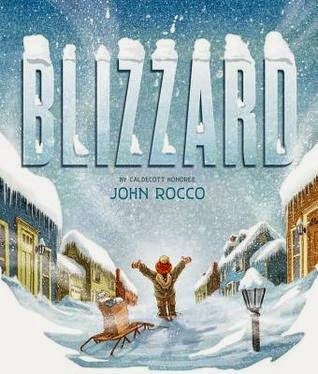 This story of an epic blizzard, based on a blizzard that John Rocco experienced as a child, captures the imagination as kids picture themselves buried in feet of snow. I especially like the fold-out spreads that show our young hero's wayward path around the neighborhood in search of groceries. And most kids seem to like a story about snow days! 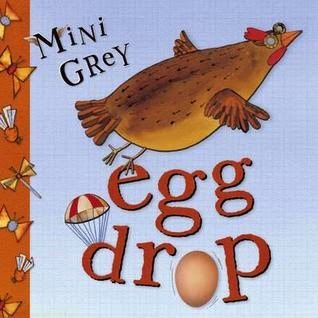 Egg Drop by Mini Grey (Red Fox Books, 2002). If only the egg had waited! If only he hadn't been so impatient! But the egg was determined to fly, so he took matters into his own hands. After he fell from the tall, tall tower, we tried to put him back together, but you can't fix a broken egg. If only he had waited! 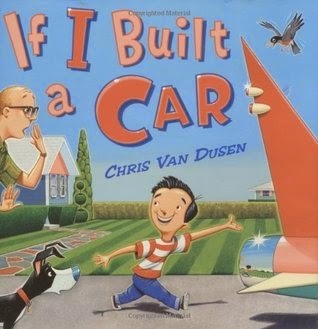 If I Built a Car by Chris Van Dusen (Dutton Books for Young Readers, 2005). The bouncy rhyming text lends itself to reading out loud and the kids are always amazed by the crazy things our young protagonist includes in his dream car. Afterwards, I always ask the kids what they would include if THEY built a car and we get some really creative responses. 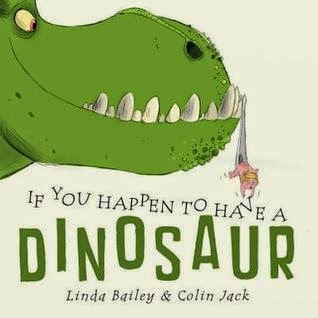 If You Happen to Have a Dinosaur by Linda Bailey, illustrated by Colin Jack (Tundra Books, 2014). There are lots of uses for a dinosaur - from trimming your trees to snowplowing to being a water slide at the pool - but there are also some jobs dinosaurs just aren't suited to... This book sparked a GREAT conversation with the kids about what they would do if they had a dinosaur. 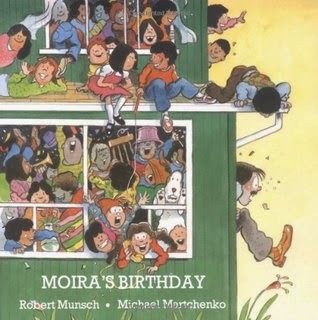 Moira's Birthday by Robert Munsch (Annick Press, 1989). Friends, this one is readaloud gold. The rhythmic, repetitive text just super lends itself to reading aloud. This would very easily translate to an oral story if you want to ditch the book (say, if you were telling it to a very large group). When Moira has a birthday, she wants to invite 1st grade, 2nd grade, 3rd grade, 4th grade, 5th grade, 6th grade, aaaaand Kindergarten! Watch the fun unfold as Moira's birthday grows out of control! 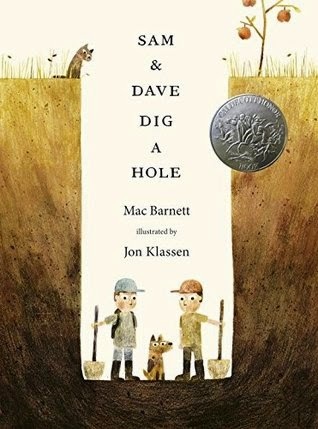 Sam and Dave Dig a Hole by Mac Barnett, illustrated by Jon Klassen (Candlewick Press, 2014). Oh, man, the kids loved to catch all the places where Sam & Dave just missed finding something spectacular! And then we had some great discussions about the weird ending. 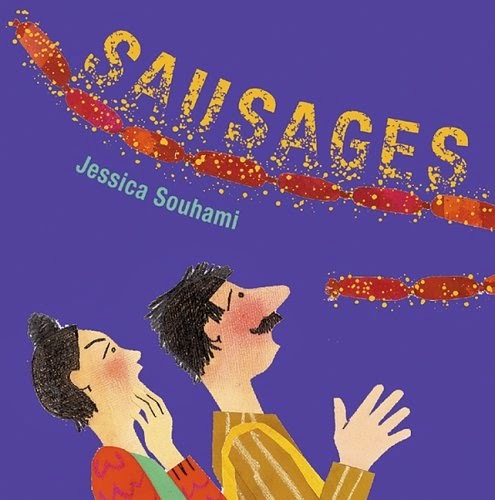 Sausages by Jessica Souhami (Frances Lincoln Children's Books, 2006). This funny folktale warns listeners to be careful what they wish for, especially if they have rescued an elf and now have three wishes to spend. Hungry and tired of thinking about what to wish for, the farmer foolishly wishes for some sausages. This upsets his wife so much that she impulsively wishes the sausages were stuck to the end of his nose! And then, of course, they have to use the last wish to get the sausages unstuck (but at least they have a nice dinner). 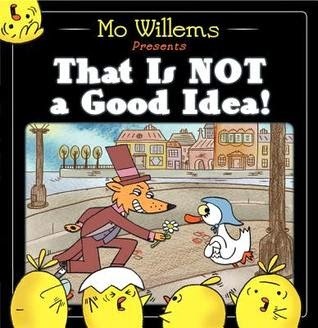 That is Not a Good Idea by Mo Willems (Balzer + Bray, 2013). Of course, anything Mo Willems is gold. Many of the kids were familiar with this one when I brought it and they were more than happy to chime in for the chorus of "That is not a good idea!" This Book Just Ate My Dog! by Richard Byrne (Henry Holt & Co., 2014). 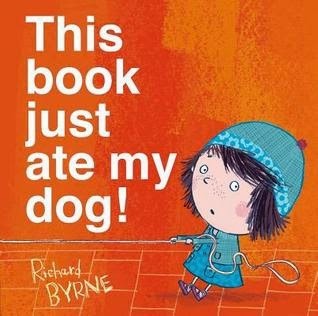 This book gives readers a surprise as it eats the protagonist's dog! And when a brave soul goes in to rescue the dog... he disappears, too! Can anything be done to save the day? These are my top ten school-age readalouds for this school year, and I see a problem here: I am greatly in need of diversity in my picks! I tend to gravitate towards books that are funny or have twists or surprise endings. Can you recommend great school-age readalouds featuring, written, or illustrated by people of color?